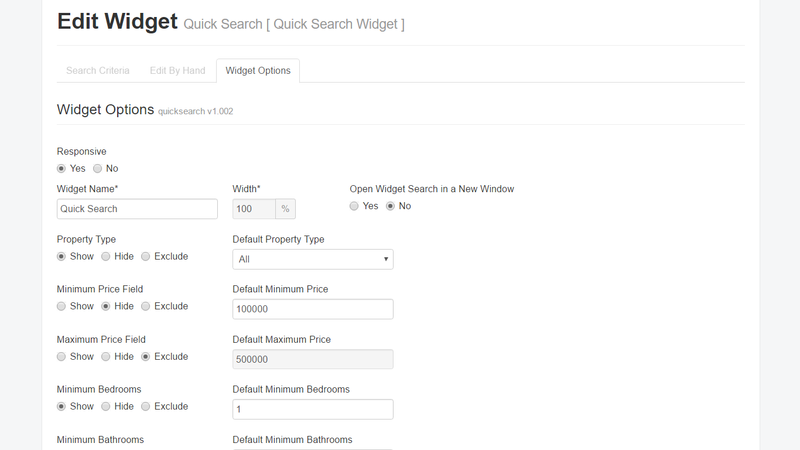 The Quick Search widget is setup to be responsive, enable it to allow expand or contract based on the height and width of any desktop or mobile browser. City List - with the option to set a default City for the dropdown list. Show, Hide (with default value set), or Exclude any field from being displayed in the Widget. Save with the option to open the Widget in a new window. Edit the default CSS with your own Custom CSS to fine-tune your Widget design. Preview the Widget before you add it to your website. 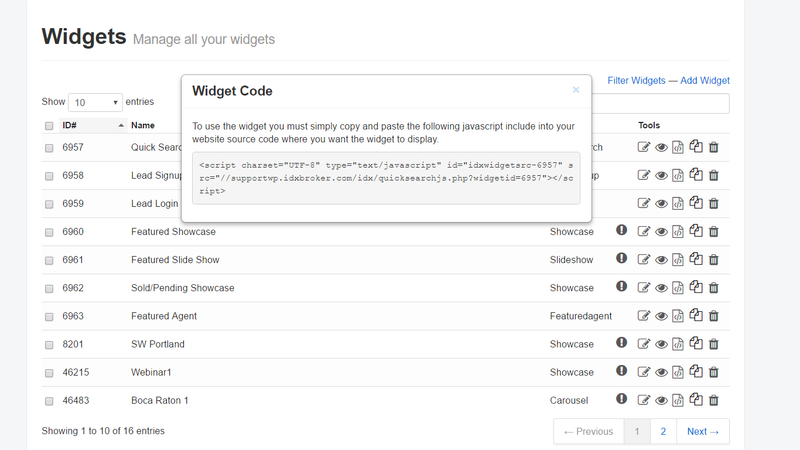 Generate a snippet of code that you can copy and paste into any page of your site!